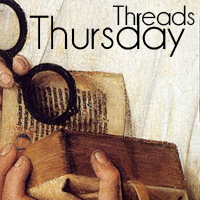 Historical Tapestry: Thursday Threads - Your Last Historical Fiction Read. 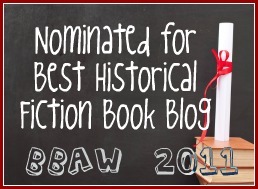 Thursday Threads - Your Last Historical Fiction Read. What was the last piece of Historical Fiction that you read? Julie - The last thing that I read was Sky Burial by Xinran. This was the read for my local book group. Set in China and Tibet. It is the amazing and fascinating account Shu Wen who spent thirty years in Tibet in the most amazing circumstances. A really fascinating read and a more comprehensive review will appear in due course! Anna - I plan to start Anne Perry's A Christmas Homecoming this week. I have read quite a few of Perry's Christmas stories and enjoyed them a lot. Marg - I am currently working my way through two big books - Les Miserables for the readalong and the audio book of A Breath of Snow and Ashes by Diana Gabaldon. In terms of books I have finished recently, I haven't been reading as much historical fiction as I normally do. The last one I finished was Pardonable Lies by Maisie Dobbs. I do have a couple of books coming up though so I should be able to get back into the swing of things. The last work of historical fiction I read was The Walnut Tree by Charles Todd, which is set in England and France at the start of WWI. I need to read that one Melissa! My last historical fiction book that I read is the BEST book I have read in FOREVER! It is called, Shadow of the Sun by the author Merrie P. Wycoff. This a paranormal historical fiction thriller written in the time of ancient Egypt during the reign of Pharaoh Ahkenaten and Queen Nefertiti and told through the eyes of their daughter, Merit-Aten.